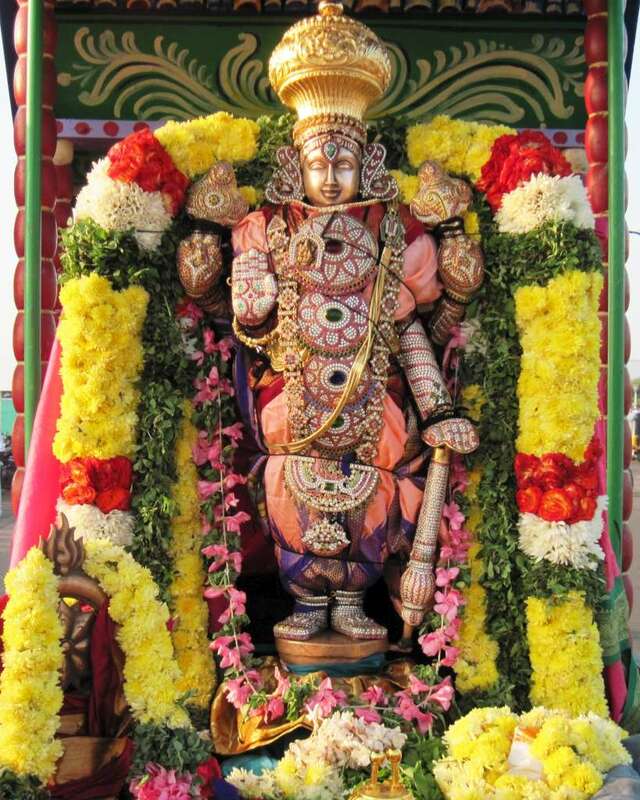 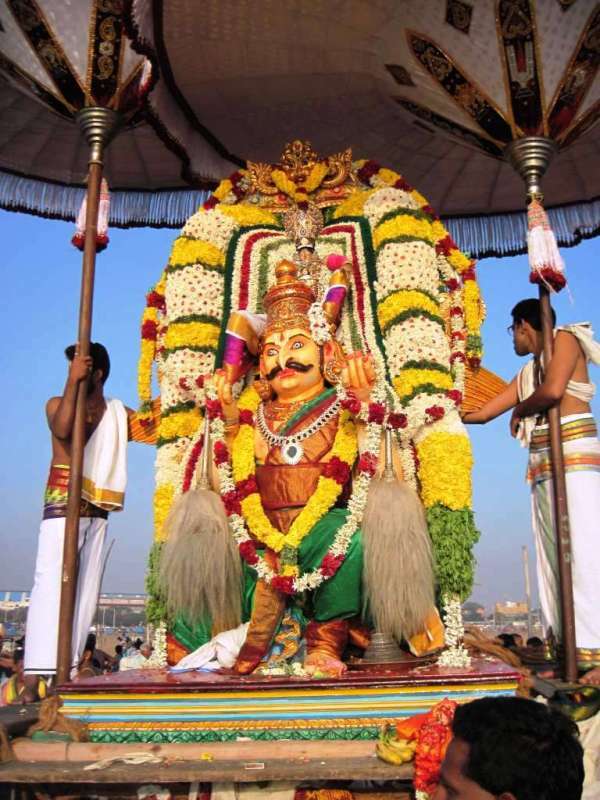 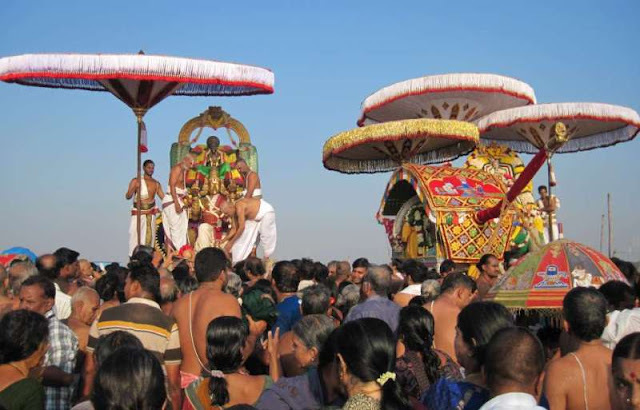 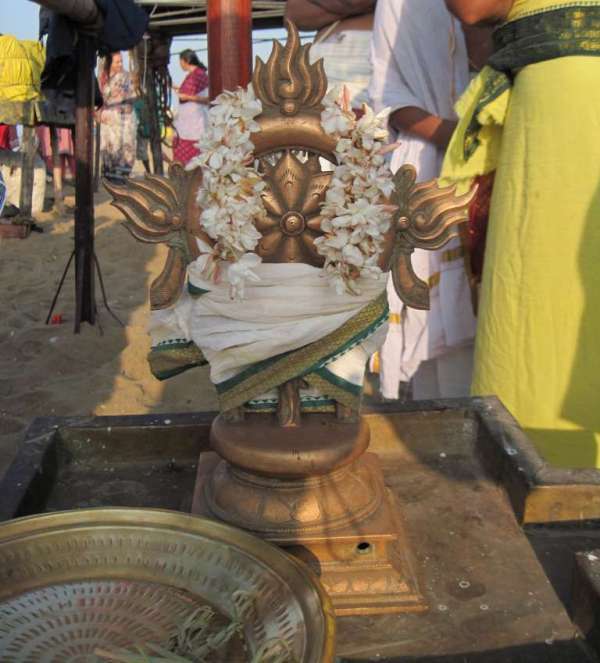 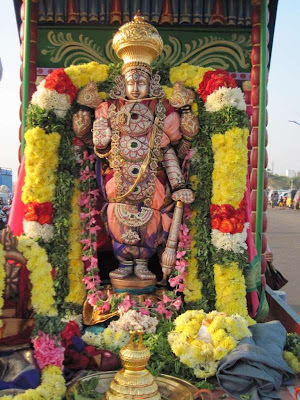 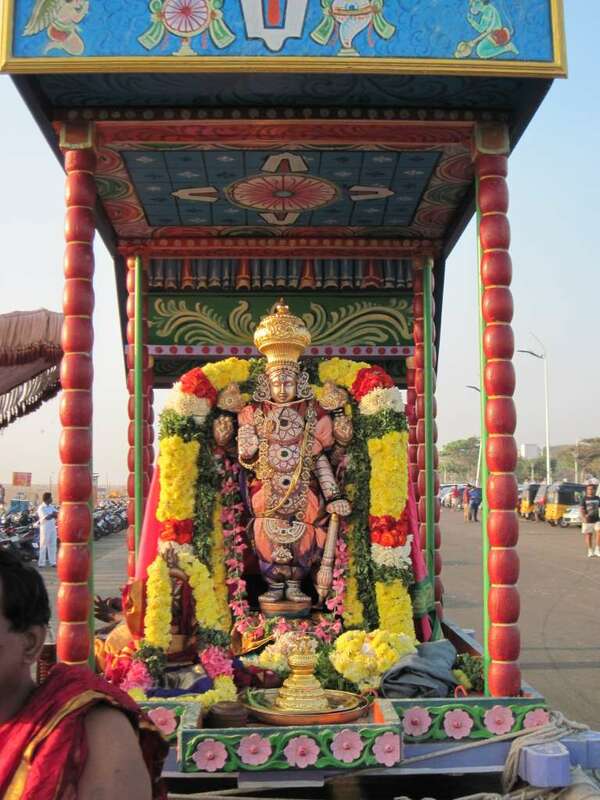 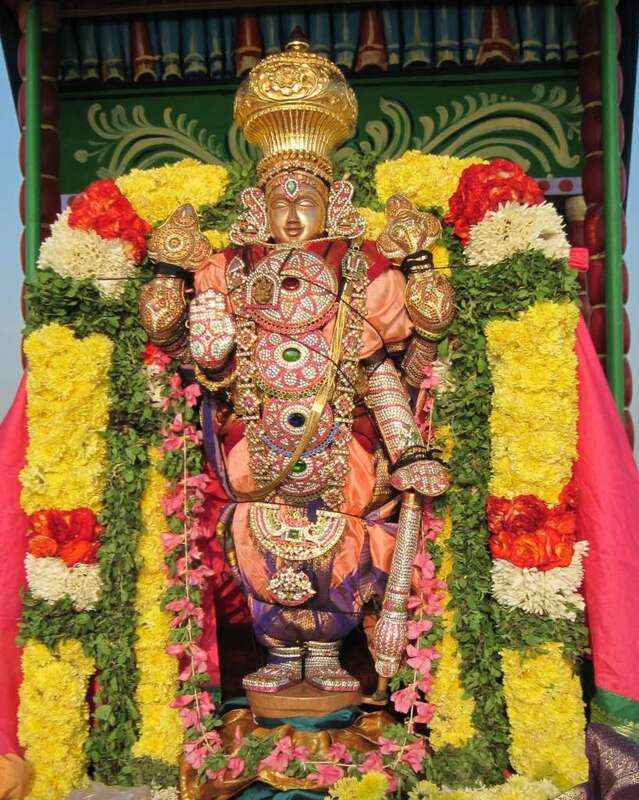 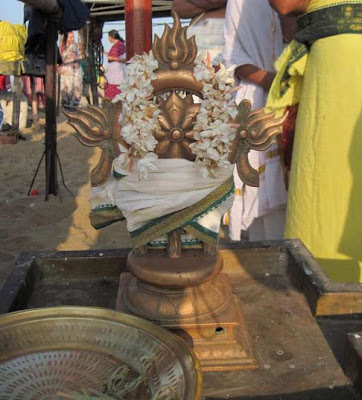 On the day of Masi Magam [25th Feb 2013], Sri Parthasarathi had purappadu on Garuda vahanam and visited the shores of Marina. 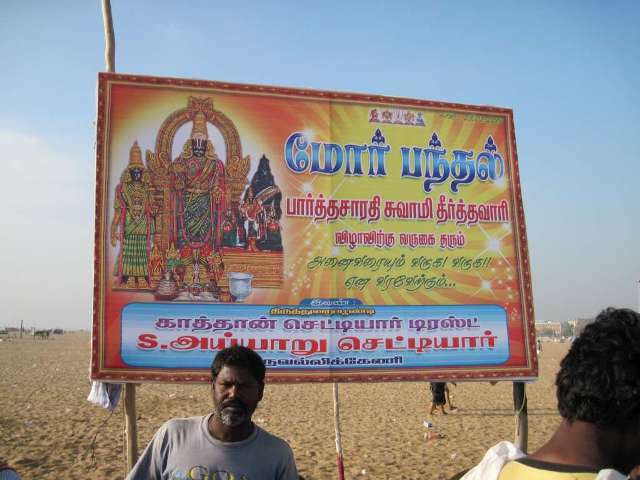 The vast expanse of Marina daily has so many people visiting starting with the early morning walkers to those who spend time happily in the evenings… but this day, the crowd was far different … they were the worshippers – those seeking divine blessings accompanying the Lord and had come for holy bath in the sea on the auspicious day of ‘masi magam’ ; the sea which was blessed with the Divine intervention was perhaps showing its happiness on seeing the holy crowd with huge tidal waves. 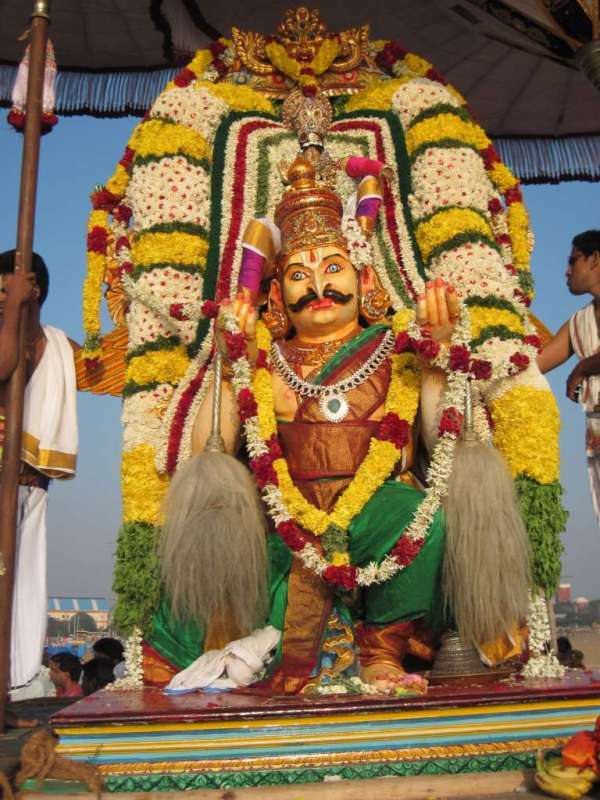 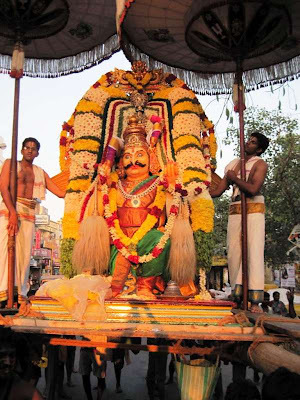 Alongside Sri Parthasarathi Perumal were so many other Perumals including ~ Srinivasa Perumal from Egmore on Garuda Vahanam; Mylai Sri Madha Perumal on Mena pallakku and more. Here are some photos of the holy congregation at the beach.